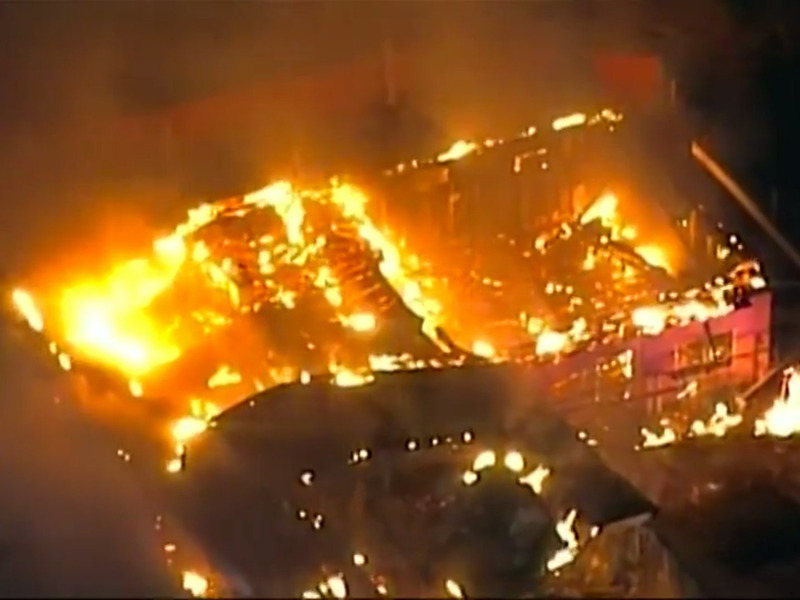 YouTubeBuildings burn in Ferguson, Missouri. Protests flared up on the streets of Ferguson, Missouri on Monday night following the decision of a grand jury to not indict a white police officer who shot and killed an unarmed black teenager in August. According to reports, at least a dozen buildings were set on fire and multiple police cars were destroyed. The local police chief said he personally heard 150 gunshots throughout the night. And at least one reporter was pelted with a rock on live television. Below is some video footage of the violence and the subsequent police crackdown Monday night. The family of Michael Brown, the teenager who Ferguson police officer Darren Wilson shot and killed, called for peace Monday night and urged protestors to avoid violence. The St. Louis suburb has been rocked by protests since the shooting in August. Wilson claims he shot Brown in self-defence, but some witnesses have said Brown had his hands up in a sign of surrender when Wilson fired the fatal shots. Wilson stopped Brown and his friend Dorian Johnson for walking in the middle of the street, and an altercation between Wilson and Brown reportedly broke out. Brown died on scene after being hit with six bullets. Additional reporting by Hunter Walker.